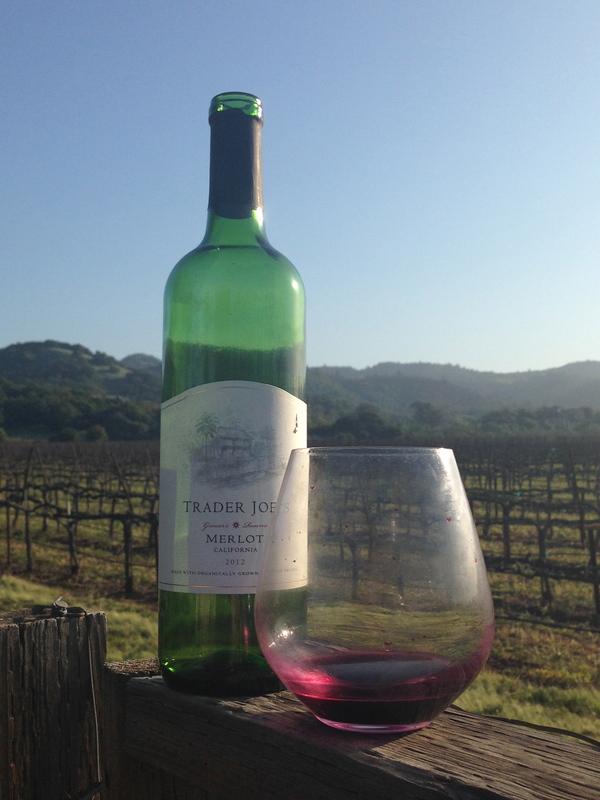 2012 Trader Joe’s Grower’s Reserve Merlot, $4.99 – Caseworthy! Bouquet is almost like a cab, rich, musky and leathery with fruit. First sip is bold, almost chewy, I like a Merlot that has a smooth rich flavor that goes great with comfort food. It’s bold enough to hold up against a vodka sauce and some serious parmesan. I enjoyed it with while listening to the Blue Riddim Band’s Nancy Regan eating pasta with red sauce – was a flashback to 1982 “The Quake” Midnight Dred show…but I now date myself….Let’s just say, CASE WORTHY. This is the bomb and although my husband is telling me Merlot is not fashionable, let’s bring it back people. I like the underdog. C’mon. You can spare $5 for a bottle of good wine. 100% organically grown Merlot grapes from some of California’s best Merlot-growing regions, what’s not to love. Beep, beep, beep…load up the trunk TJ.